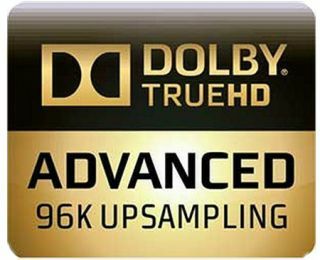 Dolby enables advanced 96kHz upsampling on Blu-ray discs | What Hi-Fi? New coding solution will "further elevate playback performance of lossless audio on Blu-ray discs"
Dolby Laboratories in San Francisco has today announced that Blu-ray discs with Dolby TrueHD soundtracks can now be mastered using advanced 96kHz upsampling. The new Dolby TrueHD coding solution enables film studios, authoring houses and mastering facilities to "integrate the benefits of 96kHz playback audio quality into the final master, while simultaneously reducing the incidence of digital artifacts introduced during the content-creation process", says Dolby. The result will be to "further elevate playback performance of lossless audio on Blu-ray discs", it claims. “Lossless audio is a key distinguishing feature of Blu-ray content. All things being equal, you cannot improve on the quality of lossless audio coding; however, you can improve on the quality of the source PCM content prior to lossless encoding, and this is precisely what we have achieved with our advanced 96k upsampling technology,” says Craig Eggers, Director, Content Creation and Playback, Home Theater Ecosystem, Dolby Laboratories. Eggers adds: "Besides enabling optimum 96k upsampling, this technology features a unique apodizing filter that 'masks' the unwanted digital artifacts known as 'preringing', which is introduced during the content-capture and content-creation process. These digital artifacts can introduce an unnatural edginess or harshness to the audio. "Dolby TrueHD with advanced 96k upsampling restores the natural tonality of the soundtrack. The effect can be subtle or dramatic, depending on the quality of the source material. Content mastered with Dolby TrueHD with advanced upsampling is fully playback compatible with all Dolby TrueHD enabled Blu-ray players and AV receivers." Among the first Blu-rays to use the new technology are the San Francisco Symphony at 100 disc, Chinese blockbuster release The Flowers of War and the Joe Satriana concert film Satchurated: Live in Montreal. You can read more about Dolby TrueHD with 96k upsampling here.